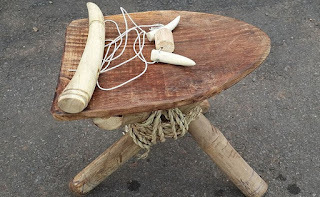 Home » Articles » Should Facebook block “Illegal Wildlife Trafficking” advertisements? Should Facebook block “Illegal Wildlife Trafficking” advertisements? While Mark Zuckerberg was testifying before Congress about Facebook providing user information to Cambridge Analytica, additional disturbing news about his company was making headlines. Facebook has been making a profit by selling ads on pages that are operated by illegal wildlife traffickers. The pages sell the body parts of endangered animals, according to a complaint filed with the U.S. Securities and Exchange Commission (SEC). That’s right, Facebook has allegedly been making money off of the sellers of items like elephant ivory, rhino horns and tiger teeth — in fact, an Associated Press article included a screen grab of a Facebookgroup page displaying buckets full of the teeth. As for just how much Facebook is profiting from these ads, the company has never disclosed in its regulatory findings the revenue it may be earning from illegal traffickers, the AP reports. Hopefully the complaint will launch an SEC investigation into exactly how much of the company’s annual $41 billion revenue is from the sale of endangered animal parts. Ironically, Facebook was one of 21 technology companies, including Google and Microsoft, that joined the Global Coalition to End Wildlife Trafficking Online just one month ago. The coalition’s goal is to reduce online wildlife trafficking by 80 percent over the next two years. That same day, Facebook released its own statement saying it doesn’t permit the sale of wildlife, endangered species or their parts, and that it removes groups that have been identified as engaging in illegal conduct. “At a time when the world is losing 30,000 elephants a year to poachers, the amount of ivory sold on Facebook is particularly shocking,” the law firm stated. Its undercover team identified more than a dozen wildlife trafficking networks operating on Facebook and traveled to Vietnam and Laos to meet with ivory traders to confirm they were actively marketing their products on the social media platform. The word “horrifying” was also used by Gretchen Peters, executive director of the Center on Illicit Networks and Transnational Organized Crime, a nonprofit dedicated to helping governments and communities more efficiently counter these groups. “I have looked at thousands of posts containing ivory, and I am convinced that Facebook is literally facilitating the extinction of the elephant species,” Peters told the AP. Instead of helping to decimate what’s left of endangered species, Facebook could do a lot to save them by turning over the information it has about wildlife traffickers to authorities – just like it turned over information about users to Cambridge Analytica. Doing so could help lead to the largest wildlife law enforcement operation ever, the law firm of Kohn, Kohn and Colapinto said in its statement. Facebook is already losing users, along with billions of dollars in shareholder wealth, over its mishandling of their private information. Even more users and shareholder wealth could (and should) be lost over the very troubling news that Facebook is apparently enabling the illegal trafficking of endangered wildlife. Please sign this petition urging Facebook to stop advertising on the pages of illegal wildlife traffickers, remove the pages and report these criminals to authorities. This article was first published by Care2.com on 12 Apr 2018.